The San Diego area endured some wilting temperatures Monday — nearly 120 in one desert locale — at the outset of an intense summer hot spell that promises even more extreme heat before it’s over. 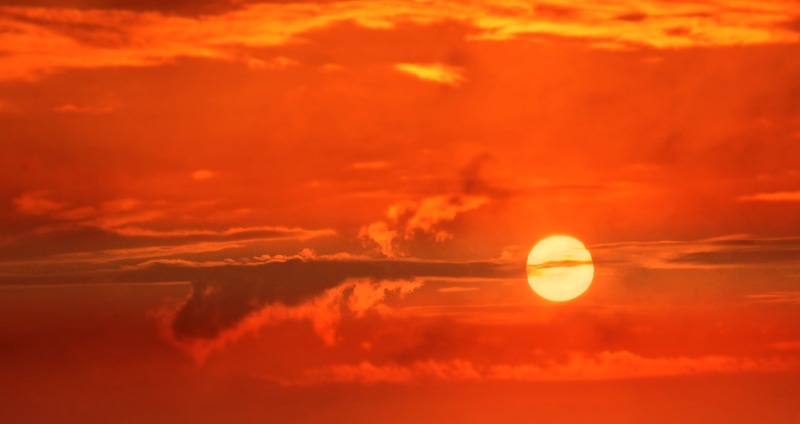 A high-pressure system moving over Southern California brought about thermometer readings in the mid-80s along the coast, and into the high 90s and the triple digits inland, according to the National Weather Service. The sizzling conditions will peak toward the middle of the week, the weather service advised. Monday afternoon, the mercury topped out at 102 degrees in Ramona, tying the East County community’s prior record for the date, set in 2006. Other notable mercury marks included 101 in Alpine, 104 in Valley Center, 106 in Campo and 116 in Borrego Springs and 119 in Ocotillo Wells. The hot spell — which prompted the weather service to issue an excessive-heat warning for the county, effective from Monday morning through Thursday evening — is likely to break high-temperature records in Alpine, Chula Vista, Escondido, Ramona and San Diego on Tuesday and Wednesday, according to meteorologists. Authorities urge the public to avoid potential health hazards resulting from the extreme heat by drinking plenty of non-alcoholic fluids, seeking out shady and/or air-conditioned environments and checking up on relatives and neighbors to make sure they are handling the heat all right. In addition, young children and pets should never be left unattended in vehicles during hot weather, when car interiors can reach lethal temperatures in a matter of minutes, officials warn. A list of local public “cool zones” can be found by clicking here.